Free Sunshine Data for any NZ Property….. Anyone with internet access can now obtain weather, temperature and sunshine data for any address in New Zealand. But as they say….wait … there’s more. as well as the sunrise and sunset times throughout the year you can see the average minimum and maximum temperatures, average rainfall, and average wind speed. Just head on over to Quotable Values sub-site right here and type your desired address in. Then, just like the graphic above, make sure you click the “FREE LOCAL INFO” tab. This entry was posted in Buyers, General, Nelson, New Zealand, retirement, Sellers, Stats / Sales Data, Technology and tagged appraisal, Buyers, buying, climate, coastline, energy, mapping, Nelson, NZ, retire, Sellers, selling, stats, sun, Technology, water on May 9, 2014 by David Leggott. Is Pinterest of value to a Real Estate agent? I tend to believe the use of this product in real estate is of more benefit to out of town buyers than locals. If someone is unfamiliar with an area, 10-15 listing photos are required to capture just enough of the home and grounds alone, there isn’t really any space to detail / illustrate with photos the area the home is in. I have just finished a folder on Pinterest for Nelsons little seaside secret suburb, Monaco. This here above, is the general layout re Google Maps. And if you are interested to find out more about Stokes little seaside secret suburb, Monaco…..just click here. This entry was posted in Buyers, General, Nelson, New Zealand, Sellers and tagged Augmented, Buyers, buying, coastline, google, mapping, Nelson, photography, Stoke, sun, sunset, water on August 20, 2013 by David Leggott. Sure reminded me of living in Brisbane back in the early eighties. Wow. And double wow….although this was a screenshot from tonights TV news. If you’re at all interested…..plenty more photos over here at nelsonians life. This entry was posted in General, Nelson, New Zealand, photography and tagged climate, coastline, Nelson, NZ, photography, recreation, sun, sunset, travel, water on January 7, 2013 by David Leggott. A Flood Proof House – is it really possible? I have talked about waterfront homes previously, about 3 years ago……..its still one of my posts that has regularly attracted the most Top 10 interest and hits……. First spotted, I immediately thought who is knicking off with a Kiwi icon, one of NZs first buildings from Kerikeri…..but no, at a 2nd glance, this did look different. Certainly looks like the act of moving from one location to another could be just a tad easier this way though, certainly when compared with what goes for “the norm” in a typical terrestrial based abode relocation? But alas, like all good things….there is another tale to tell about these photos. It seems this “floating home” was part of an exhibition, albeit a river based one stretching many many kms. This photographer bloke, Christophe Dedieu, has previously taken photos of some interesting things. And me, being a photography passionate person, his efforts didn’t escape me. In Nelson, you typically just can’t take pics like this, this, this & this beauty? Although “The World” ** did visit Nelson once! If you like photography of a maritime nature, click here to go to his landing page for many other maritime type photos he has taken. And the floating home above, turns out there is a story to go with it……see bottom of this page, although I haven’t investigated further the sad story comment #2 alludes to. This entry was posted in General, Nelson, photography, Technology, Uncategorized and tagged Buyers, coastline, education, NZ, photography, Technology, water on April 20, 2012 by David Leggott. The NZ Property Report covering March 2012 was interesting reading last week. One thing it did highlight was that Queenstown / Central Otago Lakes still has NZ’s highest seasonally adjusted asking price for a residential property. They were closely followed by…..no guesses here….. Auckland. However sitting back, in so called bronze place was another town in NZ, with way less than even 10% of the population of Auckland, and that part of NZ was, my home. Yes, the Nelson region it was. As the chart above depicts, it sure does re-enforce the popularity of the region, and yet again confirms why this issue of Nelson region property pricing dominates local “headlines”, as depicted here in the media earlier this year? Just to reassure, can there be other reasons? 1] Are we a growing region? 2] With all this up/down motion, is there any stability in Nelson home prices? 3] Population wise, not being a capital city or so, what about the future for house prices in Nelson? 4] David, could there be any other reason to explain why Nelson is so popular? 5] Our main beach, Tahunanui Beach, is one of NZs most popular. 6] On the whole, Nelsonian residents live closer to the sea, than any other place in New Zealand! You can view the complete NZ Property Report for the whole country online – HERE. 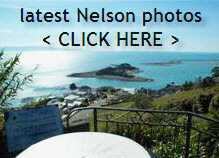 This entry was posted in Buyers, Nelson, New Zealand, Sellers, Stats / Sales Data, The Market and tagged Buyers, buying, climate, coastline, immigration, market, Nelson, NZ, Sellers, selling, stats, sun, water on April 9, 2012 by David Leggott.